In a year-long legal battle between the ‘not-for-profit-corporation’ Project Gutenberg Literary Archive Foundation, its CEO and the German publishing house S. Fischer Verlag GmbH, the District Court of Frankfurt (Landgericht Frankfurt am Main) has found Gutenberg in breach of German copyright law. S. Fischer is a long-established publishing house that owns the exclusive rights to various works by authors Heinrich Mann, Thomas Mann and Alfred Döblin. The publisher found that at least 18 books by these authors were available in German for free download from Project Gutenberg to users in Germany. After unsuccessfully requesting the website to remove the books from its servers, the publisher took the website to court. S. Fischer requested the District Court of Frankfurt to enjoin Project Gutenberg Literary Archive Foundation and its CEO from making these 18 books available to the (German) public. It further asserted a claim for disclosure of information about the scope of the infringements and requested the court to rule upon the question whether the site is liable for damages, without asking for a specific amount. This is common practice in IP-related litigation, since it is hard or impossible to specify damages until the scope of the infringements is clear. After several years of litigation, the District Court of Frankfurt sided with the plaintiff. It found Project Gutenberg and its CEO liable for copyright infringement under German law and as such, liable for disclosure of information and damages as requested by S. Fischer. The website was also enjoined from further making available to the public the 18 books in questions, albeit limited to downloads from Germany. The judges first looked at their jurisdiction over the case and affirmed it on the grounds of § 32 ZPO (Zivilprozessordnung, the German law on civil proceedings). It is very similar to Art. 7 (2) of the Regulation No 1215/2012 and establishes a special jurisdiction in matters relating to tort, delict or quasi-delict, in the courts for the place where the harmful event occurred. While the defendants argued that their website was not aimed at German users, the judges disagreed. They found enough evidence that the website was indeed intended for use by German users as well. 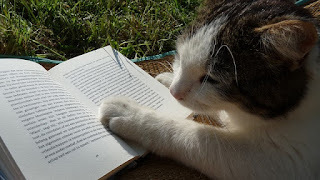 To support their view, the judges pointed out that the website was available in German, that eBooks in German were made available for download and that Project Gutenberg intended to reach a world-wide audience, according to their licence (“This eBook is for the use of anyone anywhere at no cost”). They also turned one argument of the defendants against them, by highlighting that the ‘disclaimer’ which stated users from outside the USA “must check the copyright terms of their countries before downloading” showed that Project Gutenberg was expecting downloads from foreign (non-US) countries. Curiously, the court did not discuss which law would govern the case, as it just applied German (copyright) law. However, this result is in-line with EU-Law (Art. 8 (2) of Regulation No 864/2007 - Rome II) and CJEU jurisprudence (C-173/11 Football Dataco, para. 31), since S. Fischer sought protection for the territory of Germany. Under German law, the copyright in literary works expires 70 years after the author’s death. The authors in the case at hand died between 1950 and 1957. Thus all works in question were still protected by Copyright in Germany. The court then established that both the Project Gutenberg Literary Archive Foundation and its CEO were liable for direct copyright infringements by making the works in question available to the (German) public without the necessary licence. The defendants argued the website was a neutral hosting provider and that the works in question had been uploaded by users. This did not convince the judges. They found that even if the uploads had been made by users of the platform (‘volunteers’), the site had embraced the users’ actions, essentially making all the content its own. Signs for such acquisition of other people’s uploads were found in the ToS, that referred to “our ebooks”, as well as an addition that was made to the first page of every eBook, e.g. “The Project Gutenberg EBook of Buddenbrooks, by Thomas Mann”. Additionally, the CEO undisputedly did review many of the uploaded books himself, though it remained unclear if this was true for all the 18 books in this case. Finally, the ‘Gutenberg Licence’ was another indication that indeed, the defendants themselves made available the eBooks. Having established a general liability under § 97 (1) UrhG (Urheberrechtsgesetz, the Germany copyright law), the court briefly considered whether the website was eligible for the hosting provider privilege of § 10 TMG (Telemediengesetz, the German Telemedia Act that implements Art. 14 of the E-Commerce-Directive). It rejected this for two reasons. First, the privilege does not apply to content that the hosting provider uploads itself or makes 'its own’ by other means. Second, the defendants left the content online even after being requested to take it down, thus not meeting the requirements of the European ‘safe harbour’. § 97 UrhG provided the plaintiffs with both a claim for damages and a claim against Project Gutenberg to refrain from future infringements with regards to the specific works. 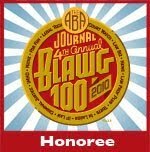 § 101 UrhG - the German implementation of Art. 8 of the Enforcement-Directive - is the grounds for the disclosure of information claim. 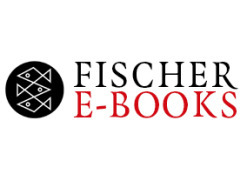 The defendants now have to provide S. Fischer with information about when the eBooks were first available for download and the number of downloads and views of the eBooks from Germany. This information will enable the plaintiff to quantify the amount of damages. 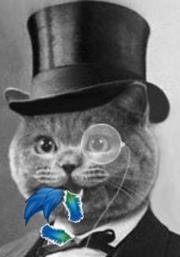 This GuestKat is an attorney in the plaintiff’s law firm Waldorf Frommer. While this may result in a biased view of the situation, I believe the court has stated something of fundamental importance in the judgment: the idea behind Project Gutenberg is a good one, and it serves a general interest of the public. However, the fact that the works have entered the public domain under US law cannot serve as a justification to make them available to the public in other countries, where copyright protection is still in place. If one were to follow the defendants’ logic, the legality of making works available to the public worldwide would depend solely on the law of the country in which the person who provided the works had his residency. This would conflict with local laws and the principle of territoriality, and in essence submit all works’ copyright duration to the ‘lowest common denominator’ of the country with the shortest copyright term. It is easy to conceive a scenario where another ‘Project Gutenberg’ would establish its business in countries like Eritrea (where works enter the public domain 50 years after publication) or the (English speaking) Republic of Marshall Islands (where copyright is apparantly only available to citizens of the Marshall Islands or works produced there), thus placing almost all contemporary literature in the ‘public domain’ under local laws. How is this decision meaningfully enforceable, given that Project Gutenberg is based in the US and has no presence in Germany? As a consequence, PG has geoblocked access from Germany to all works on the site, which I'm not sure can be counted as a win except in the very narrowest sense. The case does follow logically from inconsistent copyright laws internationally, but the hypotheticals of Eritrea and the Marshall Islands have the ring of ex post facto justification of an ill-considered case. Also, I had not heard of Waldorf Frommer but an on-line search is ... enlightening. @Anonymous, had the authors died in 1950, they would still enjoy protection until 70 years p.m.a., §§ 129(1), 64 German Copyright Act. So that's hardly the point here. "the ‘disclaimer’ which stated users from outside the USA “must check the copyright terms of their countries before downloading” showed that Project Gutenberg was expecting downloads from foreign (non-US) countries." So if Germans violated their own laws by downloading the books after being told not to do so, is Guternerg liable? Wil they turn a list of the Germans who downloaded the books over to the authorities so they can go after them? "After unsuccessfully requesting the website to remove the books from its servers, the publisher took the website to court." I would be interested in seeing the context (and substance) of those unsuccessful requests. Were they made with particularity (including the pertinent citations of law for support)?